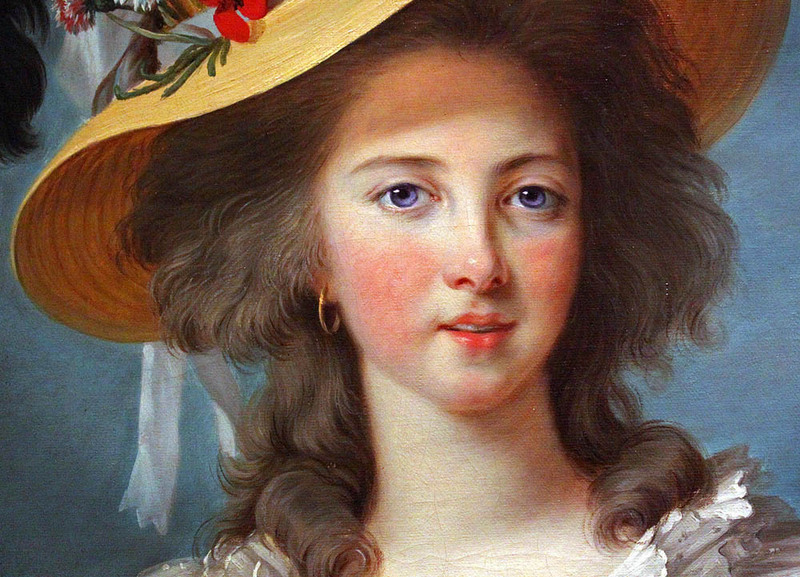 Marguerite Hélène de Barratte-Cadet was a lovely young woman from a minor noble family. Graced with skin as smooth and pale as porcelain, hair that shone like strands of ebony silk, and violet eyes with the power to bewitch men, she became her impoverished family's last hope. The proverbial bait meant to lure riches and restore respectability. 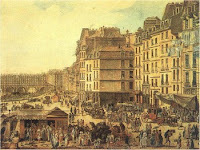 When she was a child, her family sent her to the couvent des Madelonnettes on the rue des Fontaines du Temple so that she might receive an education heavily laced with piety. 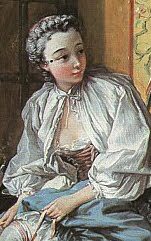 Sadly, Mademoiselle de Barrate-Cadet possessed a surplus of beauty, but an alarming deficit of commonsense and morality. One fine Spring day - motivated, no doubt, by the restlessness of youth - she decided to venture beyond the shelter of the convent. Slipping through a crack in the garden wall, she embarked on an exploration of the shadowy corners of that particular faubourg, where the light of the priory des Saint-Martin des Champs did not shine. Her wicked walk took her past gaming dens, bordellos, and cafes. 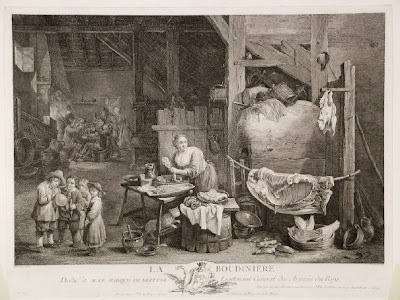 Finally, she came to a medieval road crowded with the maisons de tanneurs et bouchers, where the city's tanners and butchers torture the carcasses of animals for profit. She noticed a handsome young man with eyes as brown as the leather cape he wore tied about his waist. He was leaning against a wall, his muscular arms crossed over his chest, staring at her with a forwardness that caused even the tips of her ears to flush. I shan't elaborate upon the seedier points of this tale - for I am certain you can imagine what happened next. Her noble father's most cherished hope - that she would leave the Convent a chaste young woman to enter into holy matrimony - was only partially recognized. She wed the handsome young man in the leather cape - a butcher's son with a penchant for expensive drink and cheap women. 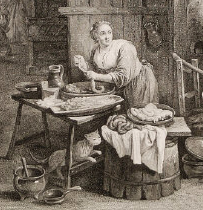 Now, she spends her days in a fetid shack in the downtrodden Faubourg Saint-Marcel, grinding slabs of meat, her fingers stained red from blood. Ah! Yes! Here it is, beneath a pamphlet decrying the Duke of Orléans's licentiousness. As you see, it is entitled La Boudinière. In French, a boudinière is a funnel used for grinding meat. Notice the animal carcass hanging between two posts behind Marguerite Hélène. How my heart aches for this silly, stupid woman. In pondering my own fate, I often feel melancholy over my loveless marriage. 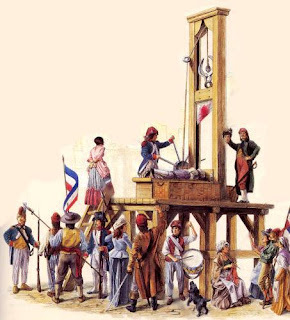 Still, I would rather be married to a fat Comte with an equally fat purse than a impoverished meat grinder. Wouldn't you? I loved this blog post. What a great imagination you have. Thank you. You are welcome, Katyln. Thank you for reading. PS I would rather be married to a fat, rich nobleman instead of a handsome commoner who who're and drank.